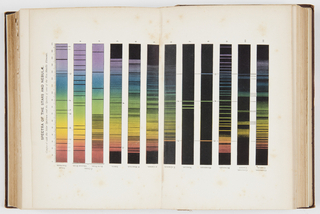 See more objects with the tag ombre, color gradation, spectrum. 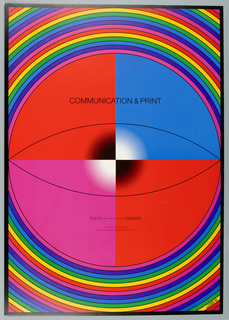 This is a Color wheel. It was created by Hilaire Hiler. It is dated 1936–37 and we acquired it in 1960. Its medium is oil paint on composition board. It is a part of the Product Design and Decorative Arts department. 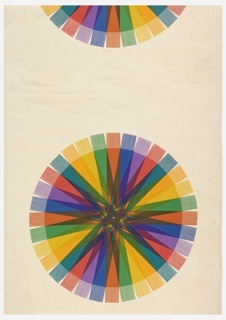 While living in Paris before World War II, writer, philosopher, jazz musician, WPA artist, and color theorist Hilaire Hiler associated with avant-garde artists like Marcel Duchamp, Constantin Brancusi and Man Ray. 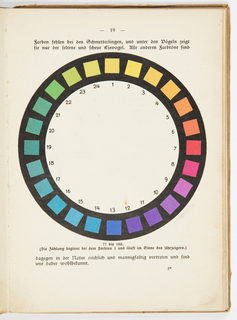 Inspired by Ostwald’s color system, he worked to design a color system for painters. 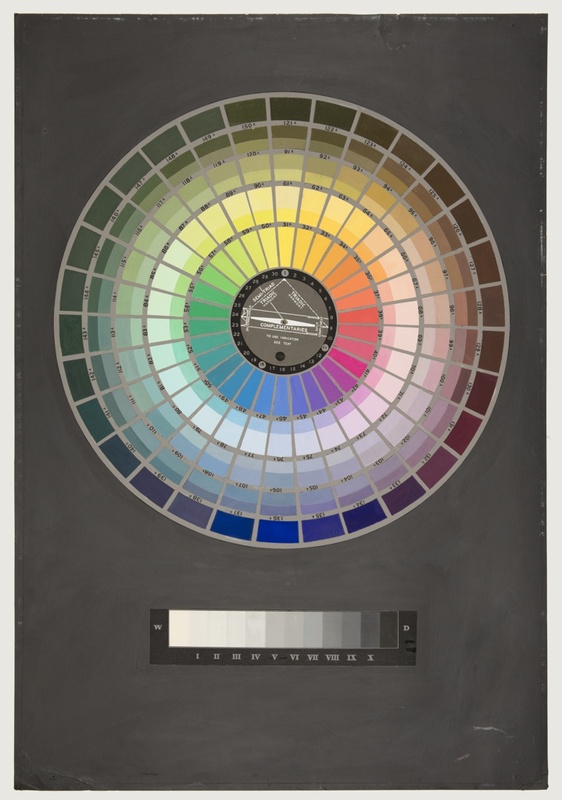 His wheel includes 30 hues, plus tints, tones, and shades (created by adding white, gray, and black). 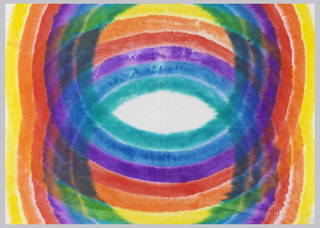 A rotating disk in the center identifies complementary colors and certain harmonies. This object was donated by Hilaire Hiler. It is credited Gift of Hilaire Hiler.